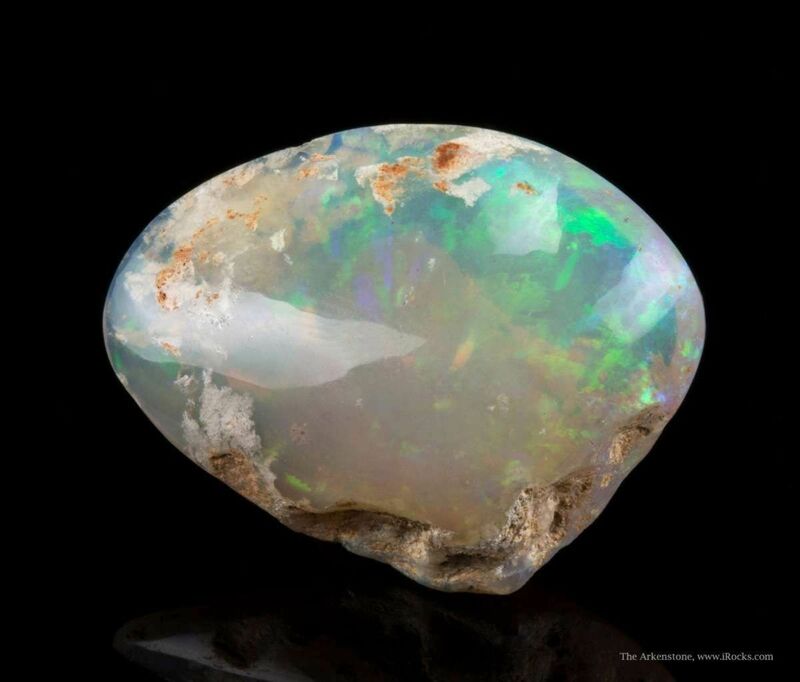 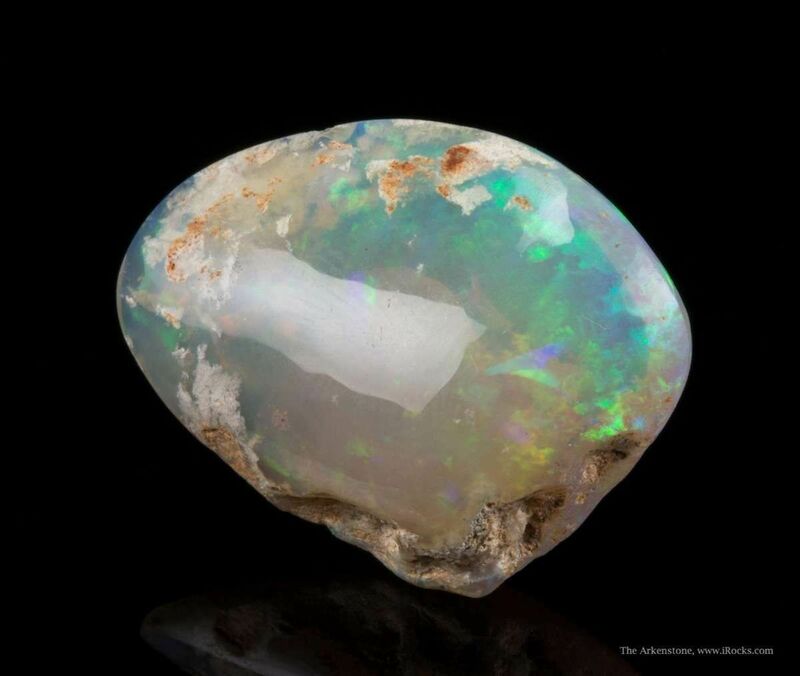 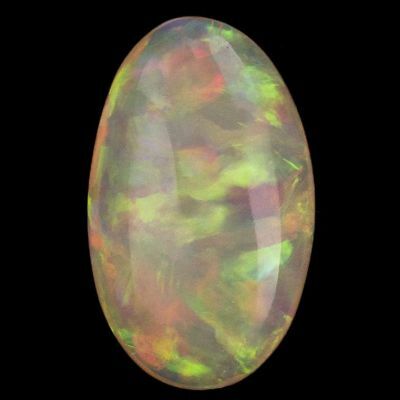 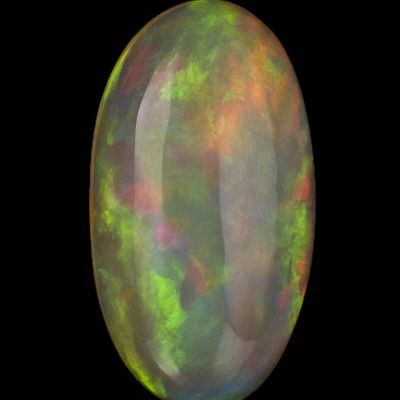 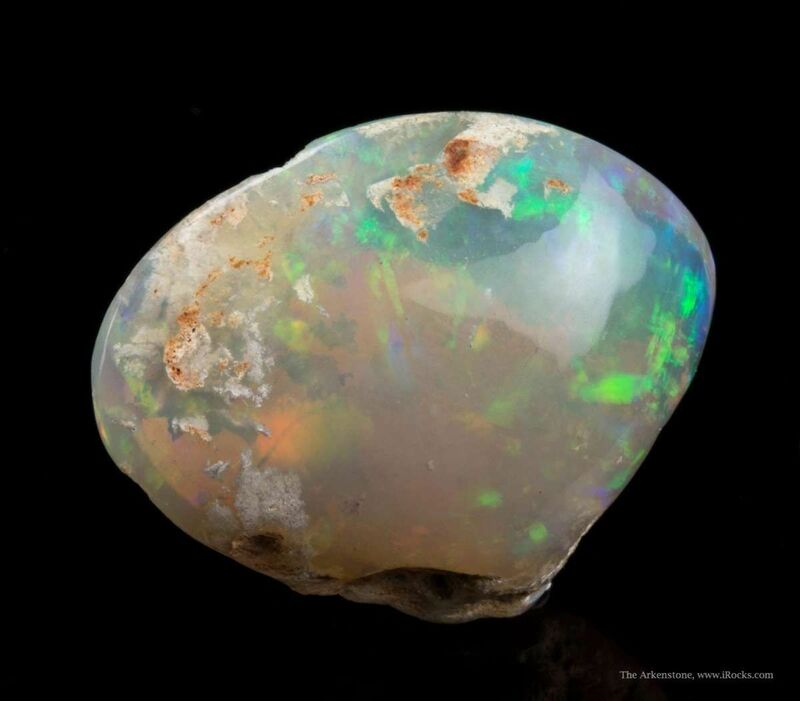 This sparkling, iridescent fossil shell is 2.8 cm long and is ALL made of gem quality opal, translucent and colorful. 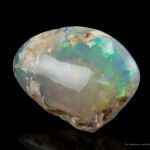 It is exceptional for these fossil clams in its translucency. 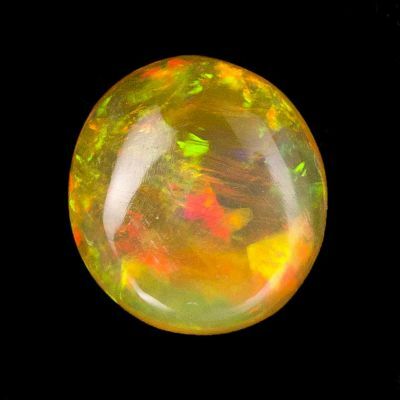 It is 4.6 grams in mass and has an intense, saturated color. 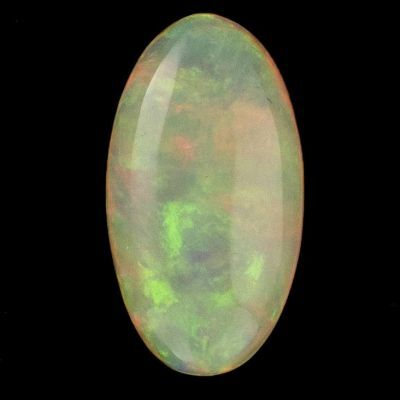 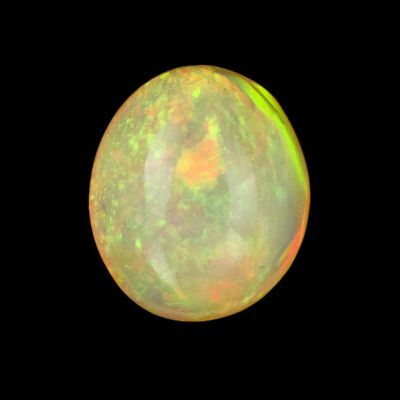 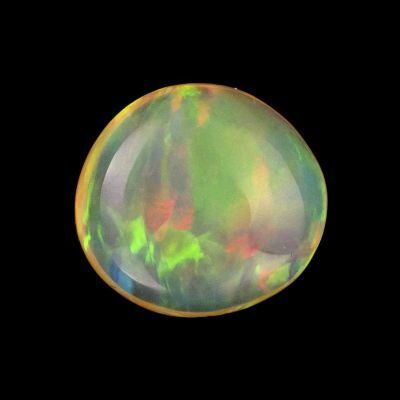 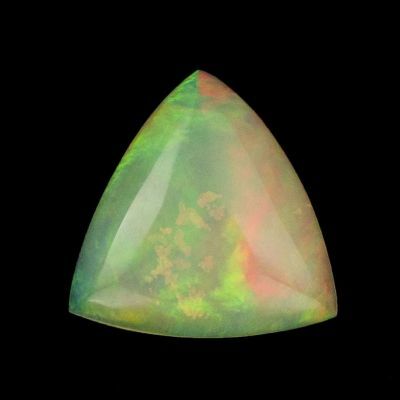 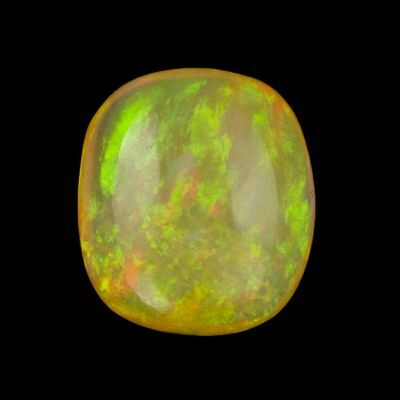 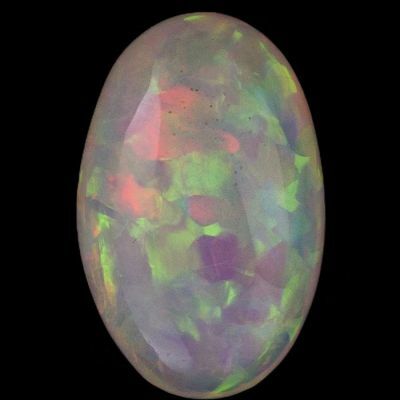 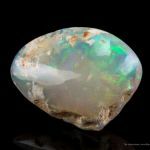 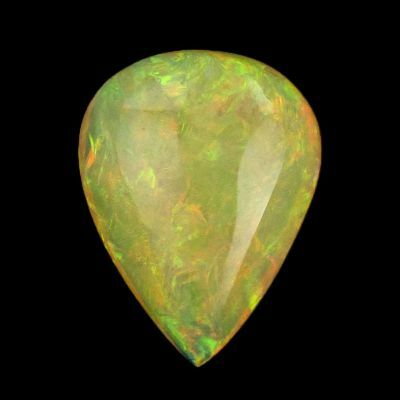 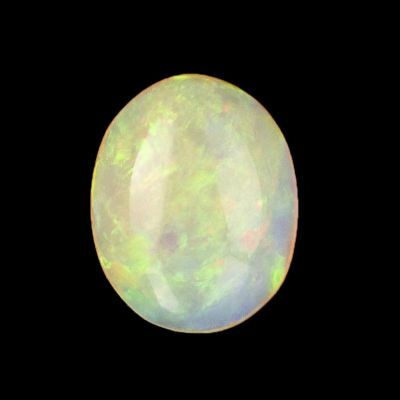 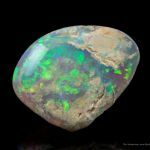 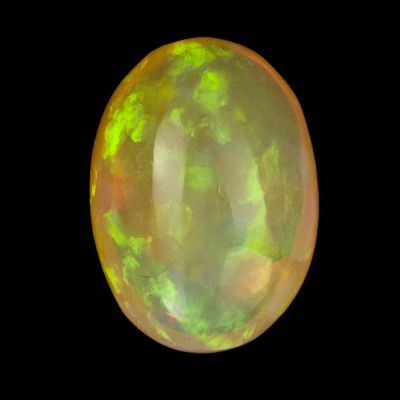 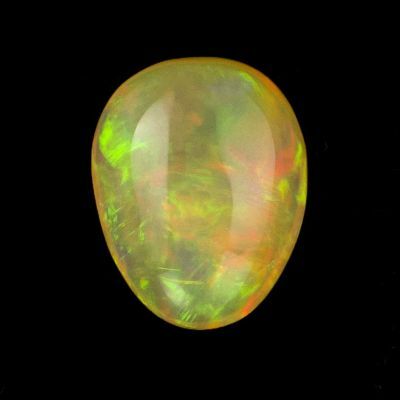 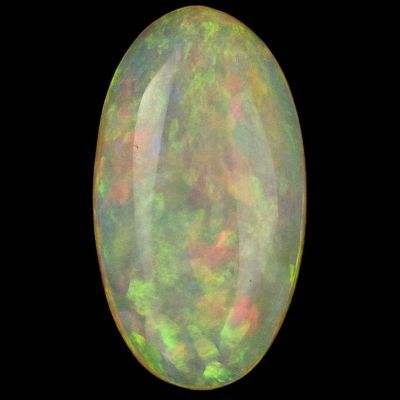 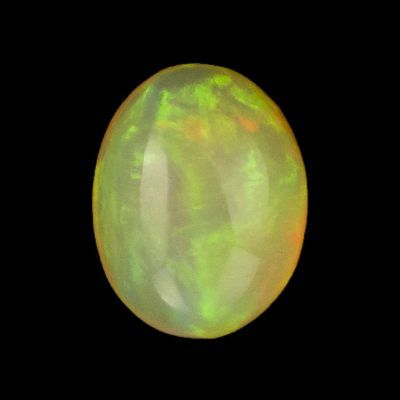 Normally, the opalization is a surface effect but here it is opalized throughout. 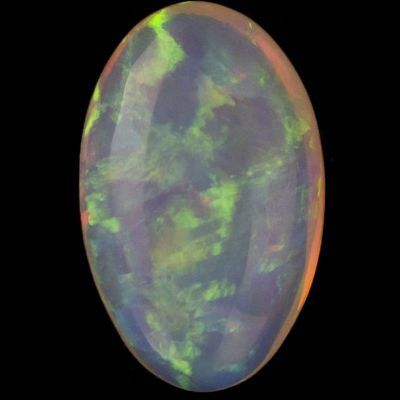 It is lightly polished on both sides. 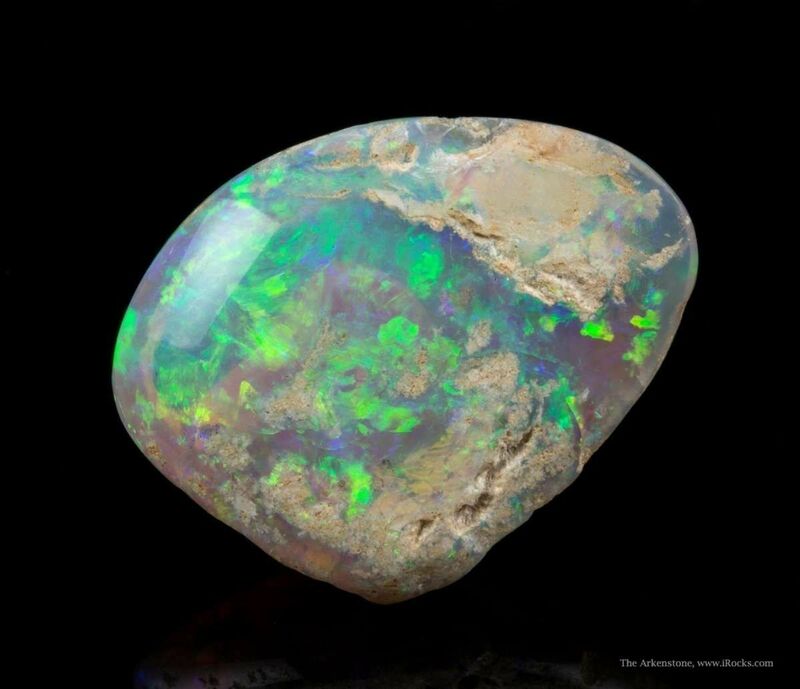 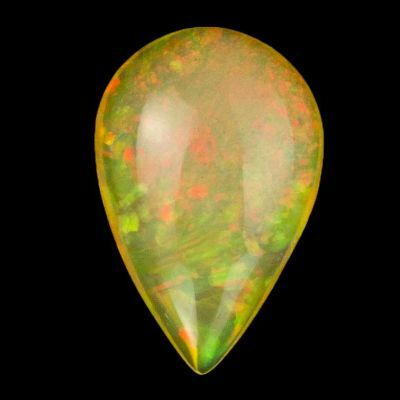 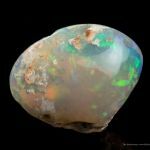 These very rare opal-replaced fossil shells were formed 135 million years ago and are unique to Australia. 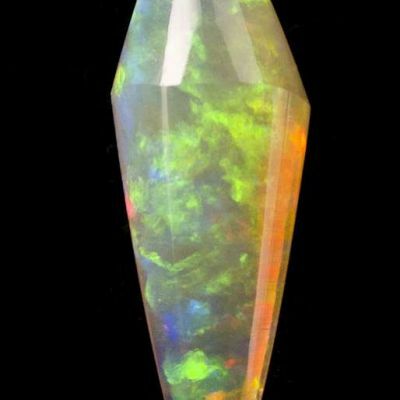 The supply at this famous locality, where the town of Coober Pedy is actually dug into the formation, has been exhausted as mining here is no longer profitable or commercially successful on any scale.These gem-quality specimens hold considerable value simply as opal for carving purposes and represent some of the cream of the crop assembled by a local collector during the 1960s-1980s mostly. 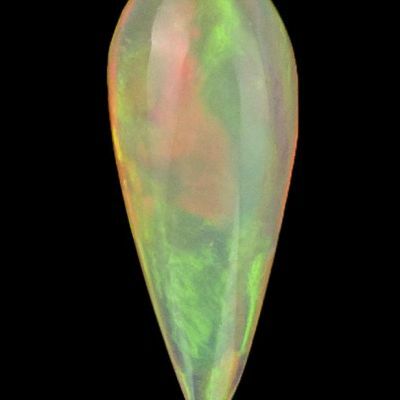 Specimens of this quality are simply unavailable on the market. 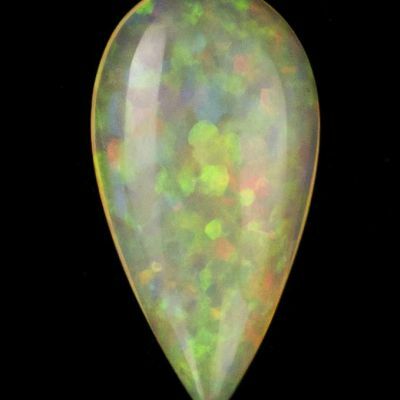 We are honored to present this private collection for the first time.